Convenient, easy-to-use dispenser makes correcting mistakes simple. Perfect for single and multiple line corrections. Film-based white tape provides complete, uniform cover-up. Transparent case shows remaining tape. The dispenser is non-refillable. 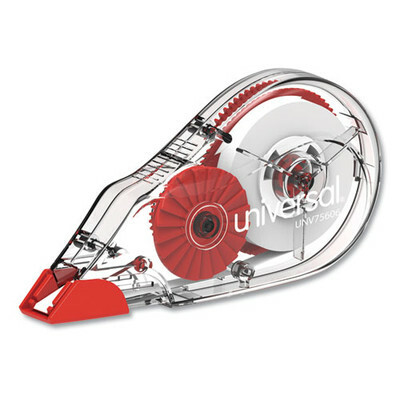 Line Coverage: 1; Tape Width: 1/5 inch; Tape Length: 315 inches; Case Color(s): Transparent/Red. 6 pack.